Gains in the sector are being attributed to strong export performances. THE MANUFACTURING SECTOR is continuing to set the pace of the economic recovery, posting its 13th successive monthly improvement in June. The rate of expansion in new orders last month was the strongest since February 2011, according to data from the Investec Manufacturing Purchasing Managers’ Index (PMI). However, Investec chief economist Philip O’Sullivan said that the growth in new orders had not carried over into a higher rate of production, with companies dipping into existing inventories to fulfil orders, mainly from abroad. This in turn has caused a dip in the stock of finished goods during June. The latest Investec Manufacturing PMI Ireland report shows the sharp increase in New Orders was attributed to improving economic conditions and higher demand from abroad, with the rate of growth in new export orders rising to the highest level in over three years. The UK and Asia were marked as particularly fruitful sources of growth in export business. Investec said that employment growth had moderated from the high seen in May, when it expanded at a rate not seen since December 1999, but remains “robust”. Staffing levels have now grown for 13 months on the trot. 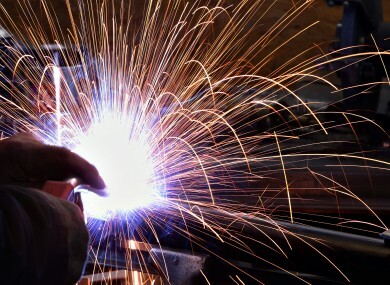 Email “Manufacturing orders rising at fastest pace in three years”. Feedback on “Manufacturing orders rising at fastest pace in three years”.